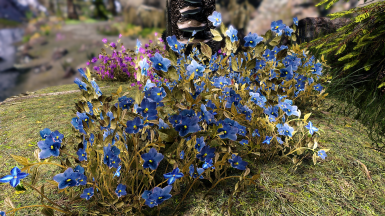 2k Textures of the Blue, Red, Purple and Yellow Mountain Flowers. All credit goes to ArtByMari for making this mod. 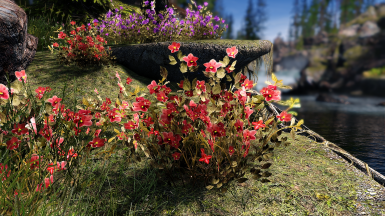 Thank you for giving me permission to port this wonderful mod to Skyrim Special Edition. 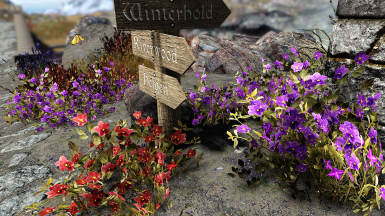 Added 1K textures for the mountain flowers. Hey guys. I AM BACK!!! Over a year ago, I have lost all vision in my right eye and there is now getting it back. So I am done with the DR.s and moving forward with modding again. Sorry it's been a while. I will be working on my other mods to get them cleaned up and updated. Possibly redo them from the ground up. So look for some updates in the near future. Have fun and keep gaming. This mod is now included in my new mod D.E.R.P. http://www.nexusmods.com/skyrimspecialedition/mods/10997. This mod will still continue to be supported. WOW!!!! 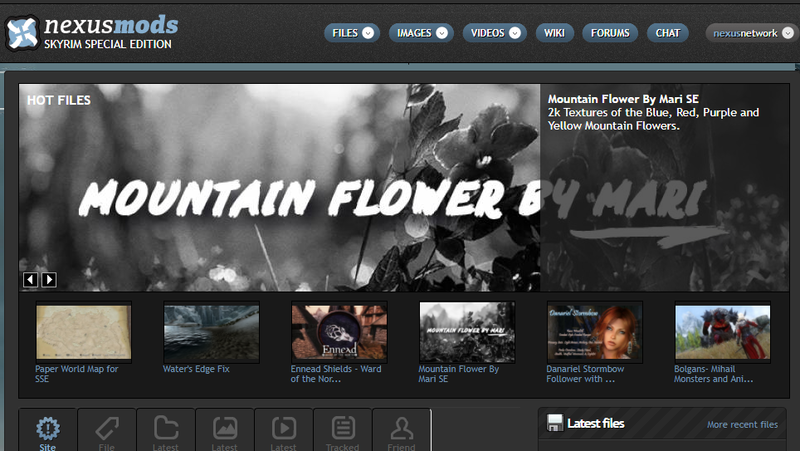 This was the first mod I uploaded and it made Hot Files within a few days!!! Thank You ArtByMari for your work on making the mod and Thank You everyone for liking the mod. THANK YOU!!! First of all, this is not my mod. It belongs to ArtByMari. 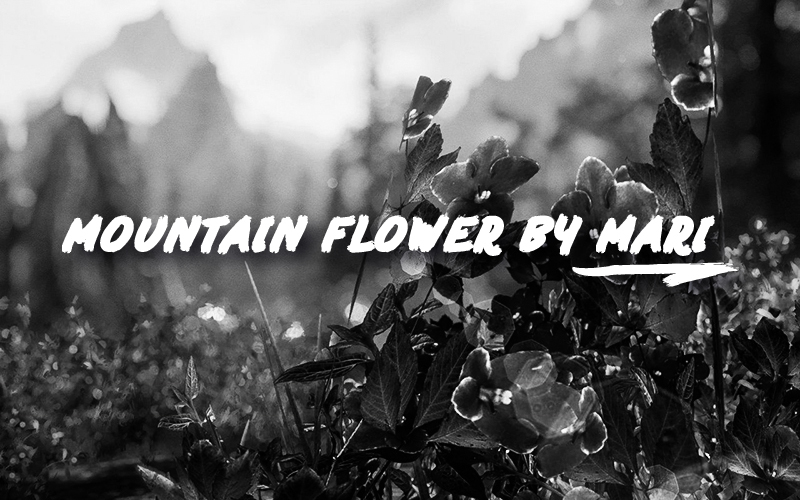 My Permission to port of her amazing and beautiful mod Mountain Flowers by Mari. Please, be sure to endorse her mod. She gave me permission to port this over to Skyrim Special Edition. I am not a modder and have very limited knowledge of modding so please don't ask me to make changes to this mod. I tested it on my Skyrim SE and it works fine with no problems. 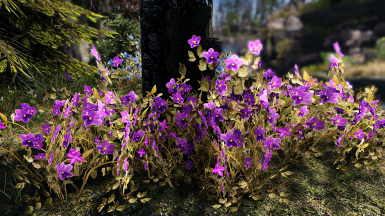 Ever since Skyrim SE came out, this was the first mod I manually installed because I didn't like how the vanilla mountain flowers look. I have been a big fan of this mod since day one. 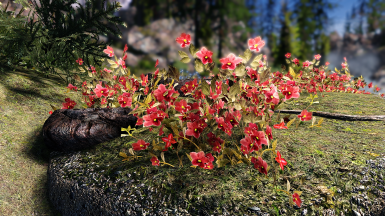 It really brings the mountain flowers to life and adds more beauty to Skyrim. This is one mod I can't play without. 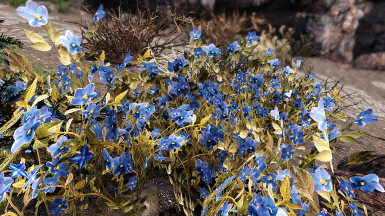 This is the 1K and 2k textures for the mountain flowers for Skyrim and Dawnguard. This is just a texture replacer so let this Overwrite when prompted. Manual Install: Unzip and place the Textures folder in the Skyrim Special Edition Data folder. NMM Users: Click Download With Manager button and install with NMM. Mod Organizer 2 Users: Click Download with Manager. During the install, double click 'Mountain Flowers By Mari' (or click the disclosure arrow beside it), right click ' Data', 'Set Data Directory' on the menu that appears, then click 'OK'. All credit goes to ArtByMari for making this mod. Thank you for allowing me to upload this to Skyrim Special Edition.